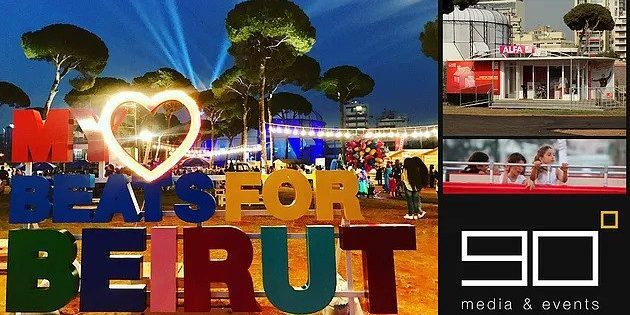 A never-ending melting pot of different cultures and ideas is one of the reasons that Beirut Cultural Festivals 2017 revealed, different influences left throughout Beirut’s history, from arts to music, culture, technology and kids entertainment. This time The Hippodrome hosted this year’s festival and ALFA telecommunication was one of the sponsors in this event, the leading #mobile operator in Lebanon has showcased the” Smart Home” new service that enables you to activate the home sensors remotely, and watch live streamed video directly from your home or office on your smartphone while being notified about intrusions, motion detection and smoke through SMS and in-app alerts and much more… Ninety Degrees was proud to be present on such an event for the next consecutive year. MILAN: San Marino is set to become the first European country to have a super-fast fifth-generation (5G) mobile network under a deal struck by the tiny republic and Telecom Italia. So-called 5G is expected to provide higher speeds and response times than 4G networks used today and wireless companies see this as a multi-billion dollar opportunity, although international standards for 5G are yet to be finalized. Telecom Italia and the government of San Marino said on Monday they had signed a memorandum of understanding to switch the existing 4G network and reach a full nation-wide 5G trial system by the end of 2018, increasing speeds by almost 10 times. Harrison Birtwistle once said that he feels that he is constantly composing the same piece, that each new work makes a different journey through the same mass of endlessly renewable musical material to find fresh perspectives within it. As if to underline that, his latest orchestral work, Deep Time, completes a trilogy begun more than 40 years ago with The Triumph of Time, and continued in the mid-1980s with Earth Dances. Daniel Barenboim and the Staatskapelle Berlin gave the first performance of the new 25-minute piece last month in Berlin, and brought it to the Proms in the second of their pair of concerts during the opening weekend, which featured both of Elgar’s symphonies. Because when people feel your brand and connect with its human side, they adopt your marque more efficiently. With its wild creative team and meticulous production squad, Ninety Degrees invents cutting-edge concepts and builds up tailor-made experiences to market your brand.